More than 1.7 million people died under Khmer Rouge rule between 1975 and 1979. The proceedings of the tribunal, a joint effort of the Cambodian government and the United Nations, have been criticized as being extremely belated and for covering only a narrow sliver of the crimes perpetrated by the Khmer Rouge. 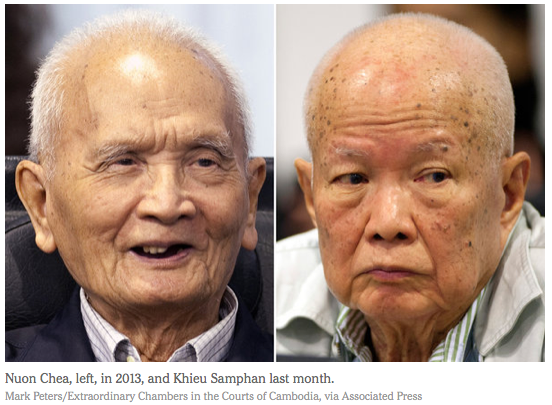 The judgments against Nuon Chea, 88, and Khieu Samphan, 83, were the first to be handed down against the Khmer Rouge leadership, although a lower-ranking official, who ran a notorious prison for the regime in Phnom Penh, was convicted in 2010. Both senior leaders will file appeals, their lawyers said Thursday. I've learned in my studies of Communism that "Communism" is a loose term. We think of Soviet Communism because it was the best documented of the Communist regimes, and because the Soviets were the Cold War and expansionist foe. But there were other regimes that were labeled "Communist" because of their political structure, when in reality they were organized strictly for extermination. Cambodia is the perfect example of this. 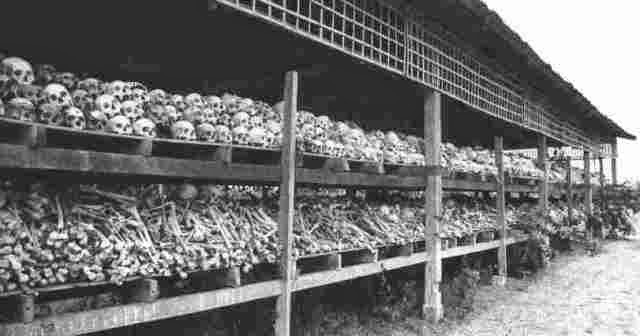 Pol Pot and the Khmer Rouge emptied the cities in less than three days, then proceeded to exterminate everyone who was not needed for their agrarian utopia. Their selection process was based on envy and resentment - the core attributes of Communists worldwide. They killed everyone with a shred of education, intelligence and/or wealth. I highly recommend The Tears of my Soul by Sokreaksa S. Himm if you're interested in learning more about the Cambodia massacre. It is nice to see Nuon Chea and Khieu Samphan held accountable. But the timing, and the severity of the sentencing, lack true justice. A pop quiz for my Ushanka comrades. It is multiple choice, but feel free to elaborate. A high-school dropout turned government policeman knocks on your door and orders you and your family, at gunpoint, to pack your bags for a short 3-day trip. How will you respond? "C" Answer: BANG. Boy's go get the shovels. 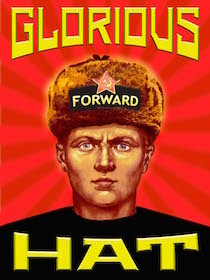 NeoCon was INVENTED by Irving Kristol and his CABAL of TROTSKYITE COMMUNISTS. NeoCon is COMMUNISM wrapped in an American flag. The correct spelling is neoCOMMUNIST. Don't forget to STEAM pressure wash everything when finished. You have to go with C. Solzhenitsyn described "how we burned in the camps" reflecting back on how they could have and should have resisted the round ups, the middle of the night raiders. Even outgunned, you will get some of them. They will run out of willing thugs before we run out of citizens. Virtually every tyranny in history has transpired because the victims were convinced that resistance was futile.